Hailing from Southeastern WI, American Folk is a string band who's unique sound is influenced by a wide range of styles including but not limited to, bluegrass, country, traditional folk, and classic rock & roll. Having originally focused on a more light-hearted sound, the band has evolved their style in a more outlaw country inspired direction. 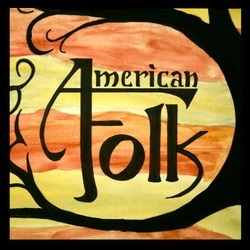 Formed in 2006, American Folk's musical catalogue is now over 50 songs long, with originals, traditionals, and covers. American Folk has busked across WI, played at Festivals across the midwest, and has lifted spirits in local pubs. For more information, music, and videos, please visit americanfolkband.com.